I picked up a Colour Corrector Stick in Green, which is the reducer. As you can see above, it is designed to counter redness, such as around the nose or any other small patches of redness that you may have. They are not designed to cover the entire face, so if you are looking for a colour correcting cream to reduce redness over the entire face then I suggest looking for a cream such as this one. However, if you don't feel that covering your face with a colour correcting cream is necessary or if you have different issues you wish to correct, the Max Factor Colour Corrector Sticks are for you. You probably won't need every pen, so you can simply buy whichever ones that you find will help you. Application is really easy thanks to the pen design. It enables you to target the exact area that you need without accidentally over-applying. Also particularly helpful if you only want to target very small areas without green being all over your face! The cream is fairly easy to blend, but I find that if the pen is warmed slightly beforehand then it blends a bit better. 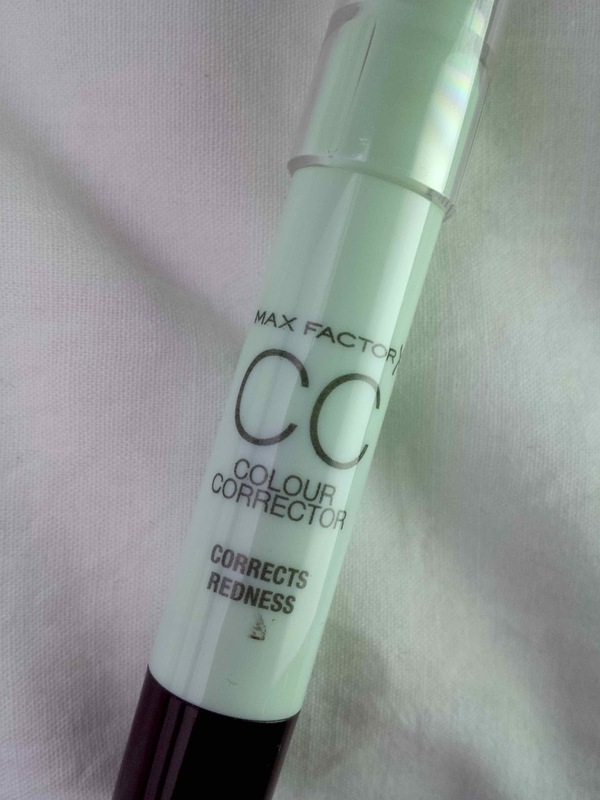 Overall I quite like the Max Factor Colour Corrector Stick. 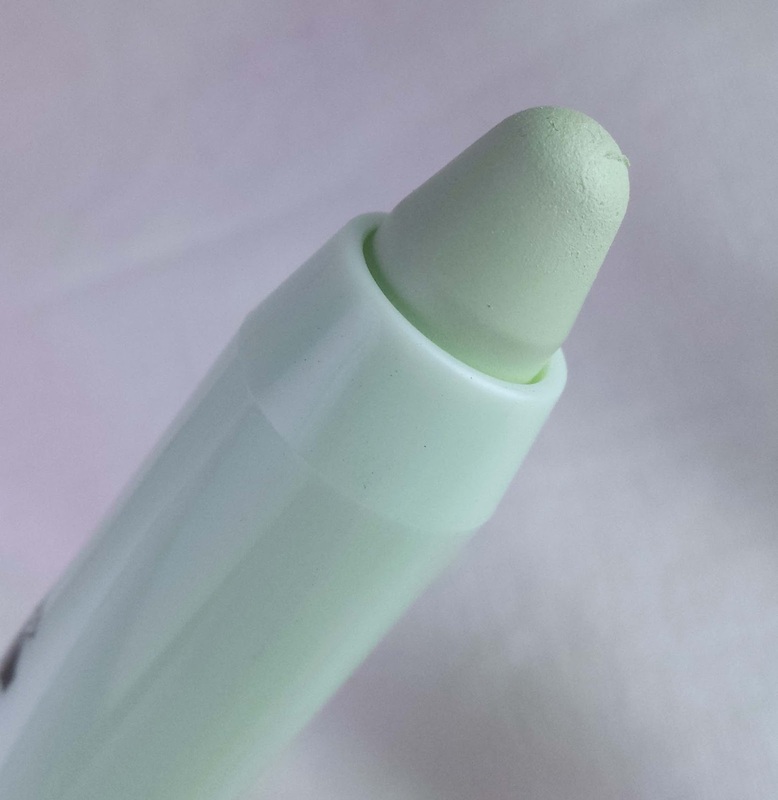 I've used green-tinted correctors similar to this in the past, but this one has been the easiest and quickest to apply in the right places. Once it is blended, I don't find that it completely hides every bit of redness, but when covered with a concealer and/or foundation on top, redness is far less visible and easier to disguise than without its use. I find that it works better on areas of redness such as around the nose or any other persistent redness that you may have rather than on blemishes or post-blemish marks. It does still help in those areas though. I took some photos of the application process, but be prepared for some bizarre looking snaps that make me look as if I have caught some weird looking, green-spot disease! The areas of redness that I needed to cover at the time the photos was taken are a couple of post-blemish marks, redness around the nose and small patches of random redness that sometimes make an appearance on my face (and when these happen I get a few blotches, so it was really the perfect opportunity to give this stick a proper test run). 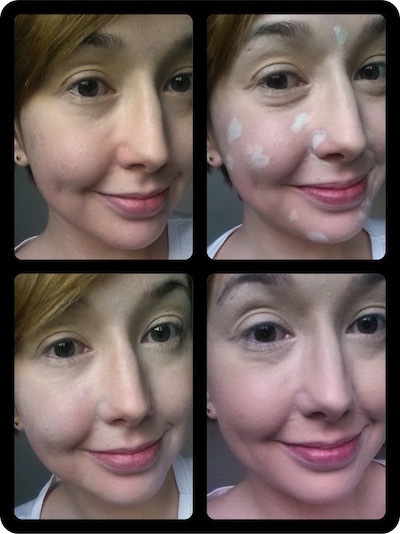 The first photo (top left) is taken with just primer, the second (top right) with the Max Factor Colour Corrector Stick in Green applied but not blended, the third (bottom left) with the CC Stick blended (and also some Benefit Lemon Aid around the eyes) and the last (bottom right) with foundation and concealer applied on top, but without blush and powder (or eye or lip makeup). These sticks are great if you need a colour corrector that doesn't take much time or effort to apply but that are also only needed for smaller areas of colour correction. Alternatively, they are also great if you have multiple areas of the face that need different types of colour correction, but this will involve buying multiple sticks. I already have my sights on buying the Purple Colour Corrector Stick (the revitaliser) and I am also interested in the Yellow one too (the brightener) as I want to compare it to Benefit's Lemon Aid. 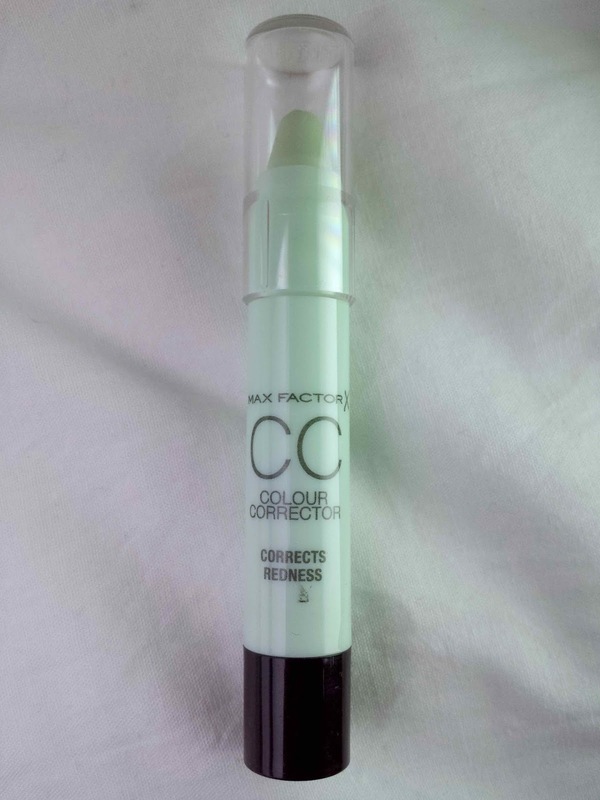 You can pick up the Max Factor Colour Corrector Sticks for £8.99 from Boots. What are your thoughts on the Max Factor Colour Corrector Sticks? How many of the shades do you have/want?